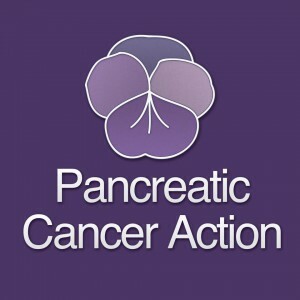 The Lyric Club Glasgow are delighted to announce that we will be supporting Pancreatic Cancer Action throughout our 2014/15 season. Here is what they have to say about the work they do. Pancreatic cancer is the UK’s fifth biggest cancer killer affecting over 8,000 people each year. Because of late diagnosis, patients face just a three per cent chance of survival and an average life expectancy of 4-6 months. Sadly, survival rates have not improved in over 40 years. Pancreatic Cancer Action’s mission is to change this by focussing on improving early diagnosis. The charity’s approach is to raise awareness of the disease, educate medical professionals, lobby government and fund research into early diagnosis. We have developed educational programmes for trainee General Practitioners and an e-learning module “Diagnosing Pancreatic Cancer in Primary Care” alongside the Royal College of GPs. Aimed at practicing clinicians, we hope this will help them spot the disease earlier and manage the condition better. Pancreatic cancer, despite being the 5th commonest cause of cancer death in the UK, receives only 1% of overall research funding. This has to change and we are working hard to increase the overall level of funding for pancreatic cancer so the condition can be better known, better understood and better treated. Simply, our aim is to get more people diagnosed in time for surgery – currently the only potential for a cure.